Gear up for the course in professional style by wearing the Under Armour® Official Tour Hat. Engineered with a moisture-wicking sweatband, there's no chance of sweat interfering with your line of vision. Eyelets and the lightweight material maximize breathability, while embroidered UA logos at the front and back highlight your passion for the game. Sport authentic style this season when you wear the UA Official Tour Cap. Official Tour hat of Jordan Spieth. Stretch construction offers a comfortable fit. Built-in HeatGear® sweatband manages moisture and draws sweat away from your brow. Embroidered Under Armour® circle logo at the center front. 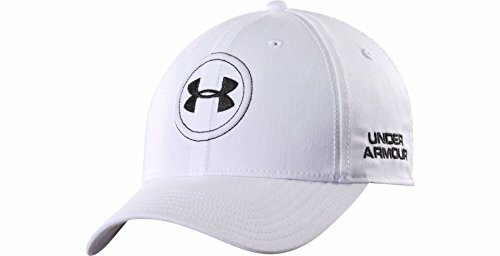 Embroidered UA Golf logo at back. Eyelets for ventilation. Fabric Content: Polyester / Elastane.